We reported data from our ongoing Phase 2 open-label extension (OLE) study of patisiran, an investigational RNAi therapeutic targeting transthyretin (TTR) for the treatment of TTR-mediated amyloidosis (ATTR amyloidosis) patients with familial amyloidotic polyneuropathy (FAP). Alnylam scientists and collaborators from The Scripps Research Institute and Misfolding Diagnostics, Inc. were able to measure the effects of patisiran on pathogenic, misfolded TTR monomers and oligomers in FAP patients. Results showed a rapid and sustained reduction in serum non-native conformations of TTR (NNTTR) of approximately 90%. Since NNTTR is pathogenic in ATTR amyloidosis and the level of NNTTR reduction correlated with total TTR knockdown, these results provide direct mechanistic evidence supporting the therapeutic hypothesis that TTR knockdown has the potential to result in clinical benefit. Furthermore, complete 12-month data from all 27 patients that enrolled in the patisiran Phase 2 OLE study showed sustained mean maximum reductions in total serum TTR of 91% for over 18 months and a mean 3.1-point decrease in mNIS+7 at 12 months, which compares favorably to an estimated increase in mNIS+7 of 13 to 18 points at 12 months based upon analysis of historical data sets in untreated FAP patients with similar baseline characteristics. Importantly, patisiran administration continues to be generally well tolerated out to 21 months of treatment. We are encouraged by these new data that provide continued support for our hypothesis that patisiran has the potential to halt neuropathy progression in patients with FAP. If these results are replicated in a randomized, double-blind, placebo-controlled study, we believe that patisiran could emerge as an important treatment option for patients suffering from this debilitating, progressive and life-threatening disease. ATTR amyloidosis is a progressive, life-threatening disease caused by misfolded transthyretin (TTR) proteins that accumulate as amyloid fibrils in multiple organs, but primarily in the peripheral nerves and heart. ATTR amyloidosis can lead to significant morbidity, disability, and mortality. The TTR protein is produced primarily in the liver and is normally a carrier for retinol binding protein – one of the vehicles used to transport vitamin A around the body. Mutations in the TTR gene cause misfolding of the protein and the formation of amyloid fibrils that typically contain both mutant and wild-type TTR that deposit in tissues such as the peripheral nerves and heart, resulting in intractable peripheral sensory neuropathy, autonomic neuropathy, and/or cardiomyopathy. ATTR represents a major unmet medical need with significant morbidity and mortality. There are over 100 reported TTR mutations; the particular TTR mutation and the site of amyloid deposition determine the clinical manifestations of the disease whether it is predominantly symptoms of neuropathy or cardiomyopathy. Specifically, hereditary ATTR amyloidosis with polyneuropathy (hATTR-PN), also known as familial amyloidotic polyneuropathy (FAP), is an inherited, progressive disease leading to death within 5 to 15 years. It is due to a mutation in the transthyretin (TTR) gene, which causes misfolded TTR proteins to accumulate as amyloid fibrils predominantly in peripheral nerves and other organs. hATTR-PN can cause sensory, motor, and autonomic dysfunction, resulting in significant disability and death. It is estimated that hATTR-PN, also known as FAP, affects approximately 10,000 people worldwide. Patients have a life expectancy of 5 to 15 years from symptom onset, and the only treatment options for early stage disease are liver transplantation and TTR stabilizers such as tafamidis (approved in Europe) and diflunisal. Unfortunately liver transplantation has limitations, including limited organ availability as well as substantial morbidity and mortality. Furthermore, transplantation eliminates the production of mutant TTR but does not affect wild-type TTR, which can further deposit after transplantation, leading to cardiomyopathy and worsening of neuropathy. There is a significant need for novel therapeutics to treat patients who have inherited mutations in the TTR gene. Our ATTR program is the lead effort in our Genetic Medicine Strategic Therapeutic Area (STAr) product development and commercialization strategy, which is focused on advancing innovative RNAi therapeutics toward genetically defined targets for the treatment of rare diseases with high unmet medical need. We are developing patisiran (ALN-TTR02), an intravenously administered RNAi therapeutic, to treat the hATTR-PN form of the disease. In 2012, Alnylam entered into an exclusive alliance with Genzyme, a Sanofi company, to develop and commercialize RNAi therapeutics, including patisiran and revusiran, for the treatment of ATTR amyloidosis in Japan and the broader Asian-Pacific region. In early 2014, this relationship was extended as a significantly broader alliance to advance RNAi therapeutics as genetic medicines. Under this new agreement, Alnylam will lead development and commercialization of patisiran in North America and Europe while Genzyme will develop and commercialize the product in the rest of world. ATTR represents a major unmet medical need with significant morbidity and mortality. There are over 100 reported TTR mutations; the particular TTR mutation and the site of amyloid deposition determine the clinical manifestations of the disease, whether it is predominantly symptoms of neuropathy or cardiomyopathy. Specifically, hereditary ATTR amyloidosis with cardiomyopathy (hATTR-CM), also known as familial amyloidotic cardiomyopathy (FAC), is an inherited, progressive disease leading to death within 2 to 5 years. It is due to a mutation in the transthyretin (TTR) gene, which causes misfolded TTR proteins to accumulate as amyloid fibrils primarily in the heart. Hereditary ATTR amyloidosis with cardiomyopathy can result in heart failure and death. While the exact numbers are not known, it is estimated hATTR-CM, also known as FAC affects at least 40,000 people worldwide. hATTR-CM is fatal within 2 to 5 years of diagnosis and treatment is currently limited to supportive care. Wild-type ATTR amyloidosis (wtATTR amyloidosis), also known as senile systemic amyloidosis, is a nonhereditary, progressive disease leading to death within 2 to 5 years. It is caused by misfolded transthyretin (TTR) proteins that accumulate as amyloid fibrils in the heart. Wild-type ATTR amyloidosis can cause cardiomyopathy and result in heart failure and death. There are no approved therapies for the treatment of hATTR-CM or SSA; hence there is a significant unmet need for novel therapeutics to treat these patients. Our ATTR program is the lead effort in our Genetic Medicine Strategic Therapeutic Area (STAr) product development and commercialization strategy, which is focused on advancing innovative RNAi therapeutics toward genetically defined targets for the treatment of rare diseases with high unmet medical need. We are developing revusiran (ALN-TTRsc), a subcutaneously administered RNAi therapeutic for the treatment of hATTR-CM. In 2012, Alnylam entered into an exclusive alliance with Genzyme, a Sanofi company, to develop and commercialize RNAi therapeutics, including patisiran and revusiran, for the treatment of ATTR amyloidosis in Japan and the broader Asian-Pacific region. In early 2014, this relationship was extended as a broader alliance to advance RNAi therapeutics as genetic medicines. Under this new agreement, Alnylam and Genzyme have agreed to co-develop and co-commercialize revusiran in North America and Europe, with Genzyme developing and commercializing the product in the rest of world. This broadened relationship on revusiran is aimed at expanding and accelerating the product’s global value. We presented pre-clinical data with ALN-TTRsc02, an investigational RNAi therapeutic targeting transthyretin (TTR) for the treatment of TTR-mediated amyloidosis (ATTR amyloidosis). In pre-clinical studies, including those in non-human primates (NHPs), ALN-TTRsc02 achieved potent and highly durable knockdown of serum TTR of up to 99% with multi-month durability achieved after just a single dose, supportive of a potentially once quarterly dose regimen. Results from studies comparing TTR knockdown activity of ALN-TTRsc02 to that of revusiran showed that ALN-TTRsc02 has a markedly superior TTR knockdown profile. Further, in initial rat toxicology studies, ALN-TTRsc02 was found to be generally well tolerated with no significant adverse events at doses as high as 100 mg/kg. A wealth of data now indicates that amyloid infiltration is an important mechanism underlying HFPEF. Inherited mutations in transthyretin cardiac amyloidosis (ATTRm) or the aging process in wild-type disease (ATTRwt) cause destabilization of the transthyretin (TTR) protein into monomers or oligomers, which aggregate into amyloid fibrils. These insoluble fibrils accumulate in the myocardium and result in diastolic dysfunction, restrictive cardiomyopathy, and eventual congestive heart failure (Figure 1). In an autopsy study of HFPEF patients, almost 20% without antemortem suspicion of amyloid had left ventricular (LV) TTR amyloid deposition.2 Even more resounding evidence for the contribution of TTR amyloid to HFPEF was a study in which 120 hospitalized HFPEF patients with LV wall thickness ≥12 mm underwent technetium-99m 3,3-diphosphono-1,2-propranodicarboxylic acid (99mTc-DPD) cardiac imaging,3,4 a bone isotope known to have high sensitivity and specificity for diagnosing TTR cardiac amyloidosis.5,6 Moderate-to-severe myocardial uptake indicative of TTR cardiac amyloid deposition was detected in 13.3% of HFPEF patients who did not have TTR gene mutations. Therefore, TTR cardiac amyloid deposition, especially in older adults, is not rare, can be easily identified, and may contribute to the underlying pathophysiology of HFPEF. As no U.S. Food and Drug Administration-approved drugs are currently available for the treatment of HFPEF or TTR cardiac amyloidosis, the development of medications that attenuate or prevent TTR-mediated organ toxicity has emerged as an important therapeutic goal. Over the past decade, a host of therapies and therapeutic drug classes have emerged in clinical trials (Table 1), and these may herald a new direction for treating HFPEF secondary to TTR amyloid. Ribonucleic acid interference (RNAi) has surfaced as an endogenous cellular mechanism for controlling gene expression. Small interfering RNAs (siRNAs) delivered into cells can disrupt the production of target proteins.7,8 A formulation of lipid nanoparticle and triantennary N-acetylgalactosamine (GalNAc) conjugate that delivers siRNAs to hepatocytes is currently in clinical trials.9 Prior research demonstrated these GalNAc-siRNA conjugates result in robust and durable knockdown of a variety of hepatocyte targets across multiple species and appear to be well suited for suppression of TTR gene expression and subsequent TTR protein production. The TTR siRNA conjugated to GalNAc, ALN-TTRSc, is now under active investigation as a subcutaneous injection in phase 3 clinical trials in patients with TTR cardiac amyloidosis.10 Prior phase 2 results demonstrated that ALN-TTRSc was generally well tolerated in patients with significant TTR disease burden and that it reduced both wild-type and mutant TTR gene expression by a mean of 87%. Harnessing RNAi technology appears to hold great promise for treating patients with TTR cardiac amyloidosis. The ability of ALN-TTRSc to lower both wild-type and mutant proteins may provide a major advantage over liver transplantation, which affects the production of only mutant protein and is further limited by donor shortage, cost, and need for immunosuppression. Antisense oligonucleotides (ASOs) are under clinical investigation for their ability to inhibit hepatic expression of amyloidogenic TTR protein. Currently, the ASO compound, ISIS-TTRRx, is under investigation in a phase 3 multicenter, randomized, double-blind, placebo-controlled clinical trial in patients with familial amyloid polyneuropathy (FAP).11 The primary objective is to evaluate its efficacy as measured by change in neuropathy from baseline relative to placebo. Secondary measures will evaluate quality of life (QOL), modified body mass index (mBMI) by albumin, and pharmacodynamic effects on retinol binding protein. Exploratory objectives in a subset of patients with LV wall thickness ≥13 mm without a history of persistent hypertension will examine echocardiographic parameters, N-terminal pro–B-type natriuretic peptide (NT-proBNP), and polyneuropathy disability score relative to placebo. These data will facilitate analysis of the effect of antisense oligonucleotide-mediated TTR suppression on the TTR cardiac phenotype with a phase 3 trial anticipated to begin enrollment in 2016. Several TTR-stabilizing agents are in various stages of clinical trials. Diflunisal, a traditionally used and generically available nonsteroidal anti-inflammatory drug (NSAID), binds and stabilizes familial TTR variants against acid-mediated fibril formation in vitro and is now in human clinical trials.12,13 The use of diflunisal in patients with TTR cardiac amyloidosis is controversial given complication of chronic inhibition of cyclooxygenase (COX) enzymes, including gastrointestinal bleeding, renal dysfunction, fluid retention, and hypertension that may precipitate or exacerbate heart failure in vulnerable individuals.14-17 In TTR cardiac amyloidosis, an open-label cohort study suggested that low-dose diflunisal with careful monitoring along with a prophylactic proton pump inhibitor could be safely administered to compensated patients.18 An association was observed, however, between chronic diflunisal use and adverse changes in renal function suggesting that advanced kidney disease may be prohibitive in diflunisal therapy.In FAP patients with peripheral or autonomic neuropathy randomized to diflunisal or placebo, diflunisal slowed progression of neurologic impairment and preserved QOL over two years of follow-up.19 Echocardiography demonstrated cardiac involvement in approximately 50% of patients.20 Longer-term safety and efficacy data over an average 38 ± 31 months in 40 Japanese patients with hereditary ATTR amyloidosis who were not candidates for liver transplantation showed that diflunisal was mostly well tolerated.12 The authors cautioned the need for attentive monitoring of renal function and blood cell counts. Larger multicenter collaborations are needed to determine diflunisal’s true efficacy in HFPEF patients with TTR cardiac amyloidosis. Tafamidis is under active investigation as a novel compound that binds to the thyroxine-binding sites of the TTR tetramer, inhibiting its dissociation into monomers and blocking the rate-limiting step in the TTR amyloidogenesis cascade.21 The TTR compound was shown in an 18-month double-blind, placebo-controlled trial to slow progression of neurologic symptoms in patients with early-stage ATTRm due to the V30M mutation.22 When focusing on cardiomyopathy in a phase 2, open-label trial, tafamidis also appeared to effectively stabilize TTR tetramers in non-V30M variants, wild-type and V122I, as well as biochemical and echocardiographic parameters.23,24 Preliminary data suggests that clinically stabilized patients had shorter disease duration, lower cardiac biomarkers, less myocardial thickening, and higher EF than those who were not stabilized, suggesting early institution of therapy may be beneficial. A phase 3 trial has completed enrollment and will evaluate the efficacy, safety, and tolerability of tafamidis 20 or 80 mg orally vs. placebo.25 This will contribute to long-term safety and efficacy data needed to determine the therapeutic effects of tafamidis among ATTRm variants. In order to safely clear established amyloid deposits, the role of the normal, nonfibrillar plasma glycoprotein present in all human amyloid deposits, serum amyloid P component (SAP), needs to be more clearly understood.30 In mice with amyloid AA type deposits, administration of antihuman SAP antibody triggered a potent giant cell reaction that removed massive visceral amyloid deposits without adverse effects.31 In humans with TTR cardiac amyloidosis, anti-SAP antibody treatments could be feasible because the bis-D proline compound, CPHPC, is capable of clearing circulating human SAP, which allow anti-SAP antibodies to reach residual deposited SAP. In a small, open-label, single-dose-escalation, phase 1 trial involving 15 patients with systemic amyloidosis, none of whom had clinical evidence of cardiac amyloidosis, were treated with CPHPC followed by human monoclonal IgG1 anti-SAP antibody.32 No serious adverse events were reported and amyloid deposits were cleared from the liver, kidney, and lymph node. Anti-SAP antibodies hold promise as a potential amyloid therapy because of their potential to target all forms of amyloid deposits across multiple tissue types. Mutant or wild-type TTR cardiac amyloidoses are increasingly recognized as a cause of HFPEF. Clinicians need to be aware of this important HFPEF etiology because the diverse array of emerging disease-modifying agents for TTR cardiac amyloidosis in human clinical trials has the potential to herald a new era for the treatment of HFPEF. Maurer MS, Mancini D. HFpEF: is splitting into distinct phenotypes by comorbidities the pathway forward? J Am Coll Cardiol 2014;64:550-2. Mohammed SF, Mirzoyev SA, Edwards WD, et al. Left ventricular amyloid deposition in patients with heart failure and preserved ejection fraction. JACC Heart Fail 2014;2:113-22. González-López E, Gallego-Delgado M, Guzzo-Merello G, et al. Wild-type transthyretin amyloidosis as a cause of heart failure with preserved ejection fraction. Eur Heart J 2015. Rapezzi C, Merlini G, Quarta CC, et al. Systemic cardiac amyloidoses: disease profiles and clinical courses of the 3 main types. Circulation 2009;120:1203-12. Bokhari S, Castano A, Pozniakoff T, Deslisle S, Latif F, Maurer MS. (99m)Tc-pyrophosphate scintigraphy for differentiating light-chain cardiac amyloidosis from the transthyretin-related familial and senile cardiac amyloidoses. Circ Cardiovasc Imaging 2013;6:195-201. Fire A, Xu S, Montgomery MK, Kostas SA, Driver SE, Mello CC. Potent and specific genetic interference by double-stranded RNA in Caenorhabditis elegans. Nature 1998;391:806-11. Kanasty R, Dorkin JR, Vegas A, Anderson D. Delivery materials for siRNA therapeutics. Nature Mater 2013;12:967-77. U.S. National Institutes of Health. Phase 2 Study to Evaluate ALN-TTRSC in Patients With Transthyretin (TTR) Cardiac Amyloidosis (ClinicalTrials.gov website). 2014. Available at: https://www.clinicaltrials.gov/ct2/show/NCT01981837. Accessed 8/19/2015. U.S. National Institutes of Health. Efficacy and Safety of ISIS-TTRRx in Familial Amyloid Polyneuropathy (Clinical Trials.gov Website. 2013. Available at: http://www.clinicaltrials.gov/ct2/show/NCT01737398. Accessed 8/19/2015. Sekijima Y, Dendle MA, Kelly JW. Orally administered diflunisal stabilizes transthyretin against dissociation required for amyloidogenesis. Amyloid 2006;13:236-49. Tojo K, Sekijima Y, Kelly JW, Ikeda S. Diflunisal stabilizes familial amyloid polyneuropathy-associated transthyretin variant tetramers in serum against dissociation required for amyloidogenesis. Neurosci Res 2006;56:441-9. Epstein M. Non-steroidal anti-inflammatory drugs and the continuum of renal dysfunction. J Hypertens Suppl 2002;20:S17-23. Wallace JL. Pathogenesis of NSAID-induced gastroduodenal mucosal injury. Best Pract Res Clin Gastroenterol 2001;15:691-703. Mukherjee D, Nissen SE, Topol EJ. Risk of cardiovascular events associated with selective COX-2 inhibitors. JAMA 2001;286:954-9. Page J, Henry D. Consumption of NSAIDs and the development of congestive heart failure in elderly patients: an underrecognized public health problem. Arch Intern Med 2000;160:777-84. Castano A, Helmke S, Alvarez J, Delisle S, Maurer MS. Diflunisal for ATTR cardiac amyloidosis. Congest Heart Fail 2012;18:315-9. Berk JL, Suhr OB, Obici L, et al. Repurposing diflunisal for familial amyloid polyneuropathy: a randomized clinical trial. JAMA 2013;310:2658-67. Quarta CCF, Solomon RH Suhr SD, et al. The prevalence of cardiac amyloidosis in familial amyloidotic polyneuropathy with predominant neuropathy: The Diflunisal Trial. International Symposium on Amyloidosis 2014:88-9. Hammarstrom P, Jiang X, Hurshman AR, Powers ET, Kelly JW. Sequence-dependent denaturation energetics: A major determinant in amyloid disease diversity. Proc Natl Acad Sci U S A 2002;99 Suppl 4:16427-32. Coelho T, Maia LF, Martins da Silva A, et al. Tafamidis for transthyretin familial amyloid polyneuropathy: a randomized, controlled trial. Neurology 2012;79:785-92. Merlini G, Plante-Bordeneuve V, Judge DP, et al. Effects of tafamidis on transthyretin stabilization and clinical outcomes in patients with non-Val30Met transthyretin amyloidosis. J Cardiovasc Transl Res 2013;6:1011-20. Maurer MS, Grogan DR, Judge DP, et al. Tafamidis in transthyretin amyloid cardiomyopathy: effects on transthyretin stabilization and clinical outcomes. Circ Heart Fail 2015;8:519-26. U.S. National Institutes of Health. Safety and Efficacy of Tafamidis in Patients With Transthyretin Cardiomyopathy (ATTR-ACT) (ClinicalTrials.gov website). 2014. Available at: http://www.clinicaltrials.gov/show/NCT01994889. Accessed 8/19/2015. Obici L, Cortese A, Lozza A, et al. Doxycycline plus tauroursodeoxycholic acid for transthyretin amyloidosis: a phase II study. Amyloid 2012;19 Suppl 1:34-6. U.S. National Institutes of Health. Safety, Efficacy and Pharmacokinetics of Doxycycline Plus Tauroursodeoxycholic Acid in Transthyretin Amyloidosis (ClinicalTrials.gov website). 2011. Available at: http://www.clinicaltrials.gov/ct2/show/NCT01171859. Accessed 8/19/2015. U.S. National Institutes of Health. Tolerability and Efficacy of a Combination of Doxycycline and TUDCA in Patients With Transthyretin Amyloid Cardiomyopathy (ClinicalTrials.gov website). 2013. Available at: http://www.clinicaltrials.gov/ct2/show/NCT01855360. Accessed 8/19/2015. U.S. National Institutes of Health. Safety and Effect of Doxycycline in Patients With Amyloidosis (ClinicalTrials.gov website).2015. Available at: https://clinicaltrials.gov/ct2/show/NCT01677286. Accessed 8/19/2015. Pepys MB, Dash AC. Isolation of amyloid P component (protein AP) from normal serum as a calcium-dependent binding protein. Lancet 1977;1:1029-31. Bodin K, Ellmerich S, Kahan MC, et al. Antibodies to human serum amyloid P component eliminate visceral amyloid deposits. Nature 2010;468:93-7. Richards DB, Cookson LM, Berges AC, et al. Therapeutic Clearance of Amyloid by Antibodies to Serum Amyloid P Component. N Engl J Med 2015;373:1106-14. Transthyretin (TTR) amyloid fibril formation is observed during partial acid denaturation and while refolding acid-denatured TTR, implying that amyloid fibril formation results from the self-assembly of a conformational intermediate. The acid denaturation pathway of TTR has been studied in detail herein employing a variety of biophysical methods to characterize the intermediate(s) capable of amyloid fibril formation. At physiological concentrations, tetrameric TTR remains associated from pH 7 to pH 5 and is incapable of amyloid fibril formation. Tetrameric TTR dissociates to a monomer in a process that is dependent on both pH and protein concentration below pH 5. The extent of amyloid fibril formation correlates with the concentration of the TTR monomer having an altered, but defined, tertiary structure over the pH range of 5.0−3.9. The inherent Trp fluorescence-monitored denaturation curve of TTR exhibits a plateau over the pH range where amyloid fibril formation is observed (albeit at a higher concentration), implying that a steady-state concentration of the amyloidogenic intermediate with an altered tertiary structure is being detected. Interestingly, 1-anilino-8-naphthalenesulfonate fluorescence is at a minimum at the pH associated with maximal amyloid fibril formation (pH 4.4), implying that the amyloidogenic intermediate does not have a high extent of hydrophobic surface area exposed, consistent with a defined tertiary structure. Transthyretin has two Trp residues in its primary structure, Trp-41 and Trp-79, which are conveniently located far apart in the tertiary structure of TTR. Replacement of each Trp with Phe affords two single Trp containing variants which were used to probe local pH-dependent tertiary structural changes proximal to these chromophores. The pH-dependent fluorescence behavior of the Trp-79-Phe mutant strongly suggests that Trp-41 is located near the site of the tertiary structural rearrangement that occurs in the formation of the monomeric amyloidogenic intermediate, likely involving the C-strand−loop−D-strand region. Upon further acidification of TTR (below pH 4.4), the structurally defined monomeric amyloidogenic intermediate begins to adopt alternative conformations that are not amyloidogenic, ultimately forming an A-state conformation below pH 3 which is also not amyloidogenic. In summary, analytical equilibrium ultracentrifugation, SDS−PAGE, far- and near-UV CD, fluorescence, and light scattering studies suggest that the amyloidogenic intermediate is a monomeric predominantly β-sheet structure having a well-defined tertiary structure. Genetic evidence suggests that inhibition of amyloid fibril formation by small molecules should be effective against amyloid diseases. Known amyloid inhibitors appear to function by shifting the aggregation equilibrium away from the amyloid state. Here, we describe a series of transthyretin amyloidosis inhibitors that functioned by increasing the kinetic barrier associated with misfolding, preventing amyloidogenesis by stabilizing the native state. The trans-suppressor mutation, threonine 119 → methionine 119, which is known to ameliorate familial amyloid disease, also functioned through kinetic stabilization, implying that this small-molecule strategy should be effective in treating amyloid diseases. The human amyloid disorders, familial amyloid polyneuropathy, familial amyloid cardiomyopathy and senile systemic amyloidosis, are caused by insoluble transthyretin (TTR) fibrils, which deposit in the peripheral nerves and heart tissue. Several nonsteroidal anti-inflammatory drugs and structurally similar compounds have been found to strongly inhibit the formation of TTR amyloid fibrils in vitro. These include flufenamic acid, diclofenac, flurbiprofen, and resveratrol. Crystal structures of the protein–drug complexes have been determined to allow detailed analyses of the protein–drug interactions that stabilize the native tetrameric conformation of TTR and inhibit the formation of amyloidogenic TTR. Using a structure-based drug design approach ortho-trifluormethylphenyl anthranilic acid and N-(meta-trifluoromethylphenyl) phenoxazine 4,6-dicarboxylic acid have been discovered to be very potent and specific TTR fibril formation inhibitors. This research provides a rationale for a chemotherapeutic approach for the treatment of TTR-associated amyloid diseases. Purpose of review: Early and accurate diagnosis of transthyretin familial amyloid polyneuropathy (TTR-FAP) represents one of the major challenges faced by physicians when caring for patients with idiopathic progressive neuropathy. There is little consensus in diagnostic and management approaches across Europe. Recent findings: The low prevalence of TTR-FAP across Europe and the high variation in both genotype and phenotypic expression of the disease means that recognizing symptoms can be difficult outside of a specialized diagnostic environment. The resulting delay in diagnosis and the possibility of misdiagnosis can misguide clinical decision-making and negatively impact subsequent treatment approaches and outcomes. Summary: This review summarizes the findings from two meetings of the European Network for TTR-FAP (ATTReuNET). This is an emerging group comprising representatives from 10 European countries with expertise in the diagnosis and management of TTR-FAP, including nine National Reference Centres. The current review presents management strategies and a consensus on the gold standard for diagnosis of TTR-FAP as well as a structured approach to ongoing multidisciplinary care for the patient. Greater communication, not just between members of an individual patient’s treatment team, but also between regional and national centres of expertise, is the key to the effective management of TTR-FAP. Transthyretin familial amyloid polyneuropathy (TTR-FAP) is a highly debilitating and irreversible neurological disorder presenting symptoms of progressive sensorimotor and autonomic neuropathy [1▪,2▪,3]. TTR-FAP is caused by misfolding of the transthyretin (TTR) protein leading to protein aggregation and the formation of amyloid fibrils and, ultimately, to amyloidosis (commonly in the peripheral and autonomic nervous system and the heart) [4,5]. TTR-FAP usually proves fatal within 7–12 years from the onset of symptoms, most often due to cardiac dysfunction, infection, or cachexia [6,7▪▪]. The prevalence and disease presentation of TTR-FAP vary widely within Europe. In endemic regions (northern Portugal, Sweden, Cyprus, and Majorca), patients tend to present with a distinct genotype in large concentrations, predominantly a Val30Met substitution in the TTR gene [8–10]. In other areas of Europe, the genetic footprint of TTR-FAP is more varied, with less typical phenotypic expression [6,11]. For these sporadic or scattered cases, a lack of awareness among physicians of variable clinical features and limited access to diagnostic tools (i.e., pathological studies and genetic screening) can contribute to high rates of misdiagnosis and poorer patient outcomes [1▪,11]. In general, early and late-onset variants of TTR-FAP, found within endemic and nonendemic regions, present several additional diagnostic challenges [11,12,13▪,14]. Delay in the time to diagnosis is a major obstacle to the optimal management of TTR-FAP. With the exception of those with a clearly diagnosed familial history of FAP, patients still invariably wait several years between the emergence of first clinical signs and accurate diagnosis [6,11,14]. The timely initiation of appropriate treatment is particularly pertinent, given the rapidity and irreversibility with which TTR-FAP can progress if left unchecked, as well as the limited effectiveness of available treatments during the later stages of the disease . This review aims to consolidate the existing literature and present an update of the best practices in the management of TTR-FAP in Europe. A summary of the methods used to achieve a TTR-FAP diagnosis is presented, as well as a review of available treatments and recommendations for treatment according to disease status. Patients with TTR-FAP can present with a range of symptoms , and care should be taken to acquire a thorough clinical history of the patient as well as a family history of genetic disease. Delay in diagnosis is most pronounced in areas where TTR-FAP is not endemic or when there is no positive family history [1▪]. TTR-FAP and TTR-familial amyloid cardiomyopathy (TTR-FAC) are the two prototypic clinical disease manifestations of a broader disease spectrum caused by an underlying hereditary ATTR amyloidosis . In TTR-FAP, the disease manifestation of neuropathy is most prominent and definitive for diagnosis, whereas cardiomyopathy often suggests TTR-FAC. However, this distinction is often superficial because cardiomyopathy, autonomic neuropathy, vitreous opacities, kidney disease, and meningeal involvement all may be present with varying severity for each patient with TTR-FAP. Among early onset TTR-FAP with usually positive family history, symptoms of polyneuropathy present early in the disease process and usually predominate throughout the progression of the disease, making neurological testing an important diagnostic aid . Careful clinical examination (e.g., electromyography with nerve conduction studies and sympathetic skin response, quantitative sensation test, quantitative autonomic test) can be used to detect, characterize, and scale the severity of neuropathic abnormalities involving small and large nerve fibres . Although a patient cannot be diagnosed definitively with TTR-FAP on the basis of clinical presentation alone, symptoms suggesting the early signs of peripheral neuropathy, autonomic dysfunction, and cardiac conduction disorders or infiltrative cardiomyopathy are all indicators that further TTR-FAP diagnostic investigation is warranted. Late-onset TTR-FAP often presents as sporadic cases with distinct clinical features (e.g., milder autonomic dysfunction) and can be more difficult to diagnose than early-onset TTR-FAP (Table 2) [1▪,11,12,13▪,14,20]. Genetic testing is carried out to allow detection of specific amyloidogenic TTR mutations (Table 1), using varied techniques depending on the expertise and facilities available in each country (Table S2, http://links.lww.com/CONR/A39). A targeted approach to detect a specific mutation can be used for cases belonging to families with previous diagnosis. In index cases of either endemic and nonendemic regions that do not have a family history of disease, are difficult to confirm, and have atypical symptoms, TTR gene sequencing is required for the detection of both predicted and new amyloidogenic mutations [26,27]. Following diagnosis, the neuropathy stage and systemic extension of the disease should be determined in order to guide the next course of treatment (Table 4) [3,30,31]. The three stages of TTR-FAP severity are graded according to a patient’s walking disability and degree of assistance required . Systemic assessment, especially of the heart, eyes, and kidney, is also essential to ensure all aspects of potential impact of the disease can be detected . The goals of cardiac investigations are to detect serious conduction disorders with the risk of sudden death and infiltrative cardiomyopathy. Electrocardiograms (ECG), Holter-ECG, and intracardiac electrophysiology study are helpful to detect conduction disorders. Echocardiograms, cardiac magnetic resonance imaging, scintigraphy with bone tracers, and biomarkers (e.g., brain natriuretic peptide, troponin) can all help to diagnose infiltrative cardiomyopathy. An early detection of cardiac abnormalities has obvious benefits to the patient, given that the prophylactic implantation of pacemakers was found to prevent 25% of major cardiac events in TTR-FAP patients followed up over an average of 4 years [32▪▪]. Assessment of cardiac denervation with 123-iodine meta-iodobenzylguanidine is a powerful prognostic marker in patients diagnosed with FAP . Tafamidis is a first-in-class therapy that slows the progression of TTR amyloidogenesis by stabilizing the mutant TTR tetramer, thereby preventing its dissociation into monomers and amyloidogenic and toxic intermediates [55,56]. Tafamidis is currently indicated in Europe for the treatment of TTR amyloidosis in adult patients with stage I symptomatic polyneuropathy to delay peripheral neurological impairment . In an 18-month, double-blind, placebo-controlled study of patients with early-onset Val30Met TTR-FAP, tafamidis was associated with a 52% lower reduction in neurological deterioration (P = 0.027), a preservation of nerve function, and TTR stabilization versus placebo [58▪▪]. However, only numerical differences were found for the coprimary endpoints of neuropathy impairment [neuropathy impairment score in the lower limb (NIS-LL) responder rates of 45.3% tafamidis vs 29.5% placebo; P = 0.068] and quality of life scores [58▪▪]. A 12-month, open-label extension study showed that the reduced rates of neurological deterioration associated with tafamidis were sustained over 30 months, with earlier initiation of tafamidis linking to better patient outcomes (P = 0.0435) [59▪]. The disease-slowing effects of tafamidis may be dependent on the early initiation of treatment. In an open-label study with Val30Met TTR-FAP patients with late-onset and advanced disease (NIS-LL score >10, mean age 56.4 years), NIS-LL and disability scores showed disease progression despite 12 months of treatment with tafamidis, marked by a worsening of neuropathy stage in 20% and the onset of orthostatic hypotension in 22% of patients at follow-up [60▪]. Tafamidis is not only effective in patients exhibiting the Val30Met mutation; it also has proven efficacy, in terms of TTR stabilization, in non-Val30Met patients over 12 months . Although tafamidis has demonstrated safe use in patients with TTR-FAP, care should be exercised when prescribing to those with existing digestive problems (e.g., diarrhoea, faecal incontinence) [60▪]. Diflunisal is a nonsteroidal anti-inflammatory drug (NSAID) that, similar to tafamidis, slows the rate of amyloidogenesis by preventing the dissociation, misfolding, and misassembly of the mutated TTR tetramer [62,63]. Off-label use has been reported for patients with stage I and II disease, although diflunisal is not currently licensed for the treatment of TTR-FAP. Evidence for the clinical effectiveness of diflunisal in TTR-FAP derives from a placebo-controlled, double-blind, 24-month study in 130 patients with clinically detectable peripheral or autonomic neuropathy[64▪]. The deterioration in NIS scores was significantly more pronounced in patients receiving placebo compared with those taking diflunisal (P = 0.001), and physical quality of life measures showed significant improvement among diflunisal-treated patients (P = 0.001). Notable during this study was the high rate of attrition in the placebo group, with 50% more placebo-treated patients dropping out of this 2-year study as a result of disease progression, advanced stage of the disease, and varied mutations. One retrospective analysis of off-label use of diflunisal in patients with TTR-FAP reported treatment discontinuation in 57% of patients because of adverse events that were largely gastrointestinal . Conclusions on the safety of diflunisal in TTR-FAP will depend on further investigations on the impact of known cardiovascular and renal side-effects associated with the NSAID drug class [66,67]. The retina is responsible for capturing images from the visual field. Retinitis pigmentosa, which refers to a group of inherited diseases that cause retinal degeneration, causes a gradual decline in vision because retinal photoreceptor cells (rods and cones) die. Images on the left are courtesy of the National Eye Institute, NIH; image on the right is courtesy of Robert Fariss, Ph.D., and Ann Milam, Ph.D., National Eye Institute, NIH. Metabolomics, the comprehensive evaluation of the products of cellular processes, can provide new findings and insight in a vast array of diseases and dysfunctions. Though promising, metabolomics lacks the standing of genomics or proteomics. It is, in a manner of speaking, the new kid on the “omics” block. Even though metabolomics is still an emerging discipline, at least some quarters are giving it a warm welcome. For example, metabolomics is being advanced by the Common Fund, an initiate of the National Institutes of Health (NIH). The Common Fund has established six national metabolomics cores. In addition, individual agencies within NIH, such as the National Institute of Environmental Health Sciences (NIEHS), are releasing solicitations focused on growing more detailed metabolomics programs. Whether metabolomic studies are undertaken with or without public support, they share certain characteristics and challenges. Untargeted or broad-spectrum studies are used for hypotheses generation, whereas targeted studies probe specific compounds or pathways. Reproducibility is a major challenge in the field; many studies cannot be reproduced in larger cohorts. Carefully defined guidance and standard operating procedures for sample collection and processing are needed. While these challenges are being addressed, researchers are patiently amassing metabolomic insights in several areas, such as retinal diseases, neurodegenerative diseases, and autoimmune diseases. In addition, metabolomic sleuths are availing themselves of a growing selection of investigative tools. The retina has one of the highest metabolic activities of any tissue in the body and is composed of multiple cell types. This fact suggests that metabolomics might be helpful in understanding retinal degeneration. At least, that’s what occurred to Ellen Weiss, Ph.D., a professor of cell biology and physiology at the University of North Carolina School of Medicine at Chapel Hill. To explore this possibility, Dr. Weiss began collaborating with Susan Sumner, Ph.D., director of systems and translational sciences at RTI International. Retinal degeneration is often studied through the use of genetic-mouse models that mimic the disease in humans. In the model used by Dr. Weiss, cells with a disease-causing mutation are the major light-sensing cells that degenerate during the disease. Individuals with the same or a similar genetic mutation will initially lose dim-light vision then, ultimately, bright-light vision and color vision. Wild-type and mutant phenotypes, as well as dark- and light-raised animals, were compared, since retinal degeneration is exacerbated by light in this genetic model. Retinas were collected as early as day 18, prior to symptomatic disease, and analyzed. Although data analysis is ongoing, distinct differences have emerged between the phenotypes as well as between dark- and light-raised animals. For example, the glial cells in the retina that upregulate a number of proteins in response to stress to attempt to save the retina are as likely as the light-receptive neurons to undergo metabolic changes. Internal and external libraries, such as the Human Metabolome Dictionary, are used to match signals. Whether or not a match exists, fragmentation patterns are used to characterize the metabolite, and when possible a standard is obtained to confirm identity. To assist with this process, the NIH Common Fund supports Metabolite Standard Synthesis Cores (MSSCs). RTI International holds an MSSC contract in addition to being a NIH-designated metabolomics core. Alzheimer’s disease (AD) is difficult to diagnose early due to its asymptomatic phase; accurate diagnosis occurs only in postmortem brain tissue. To evaluate familial AD, a rare inherited form of the disease, the laboratory of Eugenia Trushina, Ph.D., associate professor of neurology and associate professor of pharmacology at the Mayo Clinic, uses mouse models to study the disease’s early molecular mechanisms. Synaptic loss underlies cognitive dysfunction. The length of neurons dictates that mitochondria move within the cell to provide energy at the site of the synapses. An initial finding was that very early on mitochondrial trafficking was affected reducing energy supply to synapses and distant parts of the cell. During energy production, the major mitochondrial metabolite is ATP, but the organelle also produces many other metabolites, molecules that are implicated in many pathways. One can assume that changes in energy utilization, production, and delivery are associated with some disturbance. A Mayo Clinic aging study involves a cohort of patients, from healthy to those with mild cognitive impairment (MCI) through AD. Patients undergo an annual battery of tests including cognitive function along with blood and cerebrospinal fluid sampling. Metabolic signatures in plasma and cerebrospinal fluid of normal versus various disease stages were compared, and affected mitochondrial and lipid pathways identified in MCI patients that progressed to AD. “Last year we published on a new compound that goes through the blood/brain barrier, gets into mitochondria, and very specifically, partially inhibits mitochondrial complex I activity, making the cell resistant to oxidative damage,” details Dr. Trushina. “The compound was able to either prevent or slow the disease in the animal familial models. In children, asthma generally manifests as allergy-induced asthma, or allergic asthma. And allergic asthma has commonalities with allergic dermatitis/eczema, food allergies, and allergic rhinitis. In adults, asthma is more heterogeneous, and distinct and varied subpopulations emerge. Some have nonallergic asthma; some have adult-onset asthma; and some have obesity-, occupational-, or exercise-induced asthma. Adult asthmatics may have markers of TH2 high verus TH2 low asthma (T helper 2 cell cytokines) and they may respond to various triggers—environmental antigens, occupational antigens, irritants such as perfumes and chlorine, and seasonal allergens. Exercise, too, can trigger asthma. One measure that can phenotype asthmatics is nitric oxide, an exhaled breath biomarker. Nitric oxide is a smooth muscle relaxant, vasodilator, and bronchodilator that can have anti-inflammatory properties. There is a wide range of values in asthmatics, and a number of values are needed to understand the trend in a particular patient. L-arginine is the amino acid that produces nitric oxide when converted to L-citrulline, a nonessential amino acid. According to Nicholas Kenyon, M.D., a pulmonary and critical care specialist who is co-director of the University of California, Davis Asthma Network (UCAN), some metabolomic studies suggest that there is a state of L-arginine depletion during asthma attacks or in severe asthma suggesting a lack of substrate to produce nitric oxide. Dr. Kenyon is conducting clinical work on L-arginine supplementation in a double-blind cross-over intervention trial of L-arginine versus placebo. The 50-subject study in severe asthmatics should be concluded in early 2017. Many new biologic therapies are coming to market to treat asthma; it will be challenging to determine which advanced therapy to provide to which patient. Therapeutics mostly target severe asthma populations and are for patients with evidence of higher numbers of eosinophils in the blood and lung, which include anti-IL-5 and (soon) anti-IL-13, among others. Waters is developing metabolomics applications that use multivariate statistical methods to highlight compounds of interest. Typically these applications combine separation procedures, accomplished by means of liquid chromatography or gas chromatography (LC or GC), with detection methods that rely on mass spectrometry (MS). To support the identification, quantification, and analysis of LC-MS data, the company provides bioinformatics software. For example, Progenesis QI software can interrogate publicly available databases and process information about isotopic patterns, retention times, and collision cross-sections. Mass spectrometry (MS) is the gold standard in metabolomics and lipidomics. But there is a limit to what accurate mass and resolution can achieve. For example, neither isobaric nor isomeric species are resolvable solely by MS. New orthogonal analytical tools will allow more confident identifications. To improve metabolomics separations before MS detection, a post-ionization separation tool, like ion mobility, which is currently used to support traditional UPLC-MS and MS imaging metabolomics protocols, becomes useful. The collision-cross section (CCS), which measures the shape of molecules, can be derived, and it can be used as an additional identification coordinate. Other new chromatographic tools are under development, such as microflow devices and UltraPerformance Convergence Chromatography (UPC2), which uses liquid CO2 as its mobile phase, to enable new ways of separating chiral metabolites. Both UPC2 and microflow technologies have decreased solvent consumption and waste disposal while maintaining UPLC-quality performance in terms of chromatographic resolution, robustness, and reproducibility. Informatics tools are also improving. In the latest versions of Waters’ Progenesis software, typical metabolomics identification problems are resolved by allowing interrogation of publicly available databases and scoring according to accurate mass, isotopic pattern, retention time, CCS, and either theoretical or experimental fragments. MS imaging techniques, such as MALDI and DESI, provide spatial information about the metabolite composition in tissues. These approaches can be used to support and confirm traditional analyses without sample extraction, and they allow image generation without the use of antibodies, similar to immunohistochemistry. Microflow technology offers sensitivity and robustness. For example, at the Proteomics and Metabolomics Facility, Colorado State University, peptide analysis was typically performed using nanoflow chromatography; however, nanoflow chromatography is slow and technically challenging. Moving to microflow offered significant improvements in robustness and ease-of-use and resulted in improved chromatography without sacrificing sensitivity. Conversely, small molecule applications were typically performed with analytical-scale chromatography. While this flow regime is extremely robust and fast, it can sometimes be limited in sensitivity. Moving to microflow offered significant improvements in sensitivity, 5- to 10-fold depending on the compound, without sacrificing robustness. But broad-scale microflow adoption is hampered by a lack of available column chemistries and legacy HPLC or UPLC infrastructure that is not conducive to low-flow operation. Compound annotation and comparability and transparency in data processing and reporting is a challenge in metabolomics research. Multiple groups are actively working on developing new tools and strategies; common best practices need to be adopted. The continued growth of open-source spectral databases and new tools for spectral prediction from compound databases will dramatically impact the ability for metabolomics to result in novel discoveries. The move to a systems-level understanding through the combination of various omics data also will have a huge influence and be enabled by the continued development of open-source and user-friendly pathway-analysis tools. Fusion detection can be carried out with traditional opposing primer-based library preparation methods, which require target- and fusion-specific primers that define the region to be sequenced. With these methods, primers are needed that flank the target region and the fusion partner, so only known fusions can be detected. An alternative method, ArcherDX’ Anchored Multiplex PCR (AMP), can be used to detect the target of interest, plus any known and unknown fusion partners. This is because AMP uses target-specific unidirectional primers, along with reverse primers, that hybridize to the sequencing adapter that is ligated to each fragment prior to amplification. In time, the narrow, tortuous paths followed by pioneers become wider and straighter, whether the pioneers are looking to settle new land or bring new biomarkers to the clinic. In the case of biomarkers, we’re still at the stage where pioneers need to consult guides and outfitters or, in modern parlance, consultants and technology providers. These hardy souls tend to congregate at events like the Biomarker Conference, which was held recently in San Diego. At this event, biomarker experts discussed ways to avoid unfortunate detours on the trail from discovery and development to clinical application and regulatory approval. Of particular interest were topics such as the identification of accurate biomarkers, the explication of disease mechanisms, the stratification of patient groups, and the development of standard protocols and assay platforms. In each of these areas, presenters reported progress. Another crucial subject is the integration of techniques such as next-generation sequencing (NGS). This particular technique has been instrumental in advancing clinical cancer genomics and continues to be the most feasible way of simultaneously interrogating multiple genes for driver mutations. Enriching nucleic acid libraries for target genes of interest prior to NGS greatly enhances the sensitivity of detecting mutations, as the enriched regions are sequenced multiple times. This is particularly useful when analyzing clinical samples, which generate low amounts of poor-quality nucleic acids. Most target-enrichment strategies require prior knowledge of both ends of the target region to be sequenced. Therefore, only gene fusions with known partners can be amplified for downstream NGS assays. Archer’s Anchored Multiplex PCR (AMP™) technology overcomes this limitation, as it can enrich for novel fusions, while only requiring knowledge of one end of the fusion pair. At the heart of the AMP chemistry are unique Molecular Barcode (MBC) adapters, ligated to the 5′ ends of DNA fragments prior to amplification. The MBCs contain universal primer binding sites for PCR and a molecular barcode for identifying unique molecules. When combined with 3′ gene-specific primers, MBCs enable amplification of target regions with unknown 5′ ends. In a proof-of-concept study, a single-tube 23-plex panel was designed to amplify the kinase domains of ALK, RET, ROS1, and MUSK genes by AMP. This enrichment strategy enabled identification of gene fusions with multiple partners and alternative splicing events in lung cancer, thyroid cancer, and glioblastoma specimens by NGS. Over the last decade, the Biomarker/Translational Research Laboratory has focused on developing clinical genotyping and fluorescent in situ hybridization (FISH) assays for rapid personalized genomic testing. Using multiplexed approaches, Dr. Borger’s team within the larger Center for Integrated Diagnostics (CID) program at MGH has established high-throughput genotyping service as an important component of routine care. While only a few susceptible molecular alterations may currently have a corresponding drug, the NGS-driven analysis may supply new information for inclusion of patients into ongoing clinical trials, or bank the result for future research and development. This image, from the Massachusetts General Hospital Cancer Center, shows multicolor fluorescence in situ hybridization (FISH) analysis of cells from a patient with esophagogastric cancer. Remarkably, the FISH analysis revealed that co-amplification of the MET gene (red signal) and the EGFR gene (green signal) existed simultaneously in the same tumor cells. A chromosome 7 control probe is shown in blue. Tumor profiling at MGH have already yielded significant discoveries. Dr. Borger’s lab, in collaboration with oncologists at the MGH Cancer Center, found significant correlations between mutations in the genes encoding the metabolic enzymes isocitrate dehydrogenase (IDH1 and IDH2) and certain types of cancers, such as cholangiocarcinoma and acute myelogenous leukemia (AML). Historically, cancer signatures largely focus on signaling proteins. Discovery of a correlative metabolic enzyme offered a promise of diagnostics based on metabolic byproducts that may be easily identified in blood. Indeed, the metabolite 2-hydroxyglutarate accumulates to high levels in the tissues of patients carrying IDH1 and IDH2 mutations. They have reported that circulating 2-hydroxyglutarate as measured in the blood correlates with tumor burden, and could serve as an important surrogate marker of treatment response. …..
“Traditionally, it has been hard to use standard methods to quantify the amount of tRNA in the cell,” says Tavazoie. The lead authors of the article, Hani Goodarzi, formerly a postdoc in the lab and now a new assistant professor at UCSF, and research assistant Hoang Nguyen, devised and applied a new method that utilizes state-of-the-art genomic sequencing technology to measure the amount of tRNAs in different cell types. The team chose to compare breast tissue from healthy individuals with tumor samples taken from breast cancer patients–including both primary tumors that had not spread from the breast to other body sites, and highly aggressive, metastatic tumors. The tRNA that recognizes the codon GAA and encodes for a building block known as glutamic acid was also elevated in metastatic samples. The team hypothesized that the elevated levels of these tRNAs may in fact drive metastasis. Working in mouse models of primary, non-metastatic tumors, the researchers increased the production of the tRNAs, and found that these cells became much more invasive and metastatic. They also did the inverse experiment, with the anticipated results: reducing the levels of these tRNAs in metastatic cells decreased the incidence of metastases in the animals. How do two tRNAs drive metastasis? The researchers teamed up with members of the Rockefeller University proteomics facility to see how protein expression changes in cells with elevated levels of these two tRNAs. According to the researchers, two genes stood out among the list. Known as EXOSC2 and GRIPAP1, these genes were strongly and directly induced by elevated levels of the specific glutamic acid tRNA. “When we mutated the GAA codons to GAG– a “silent” mutation because they both spell out the protein building block glutamic acid–we found that increasing the amount of tRNA no longer increased protein levels,” explains Tavazoie. These proteins were found to drive breast cancer metastasis. Scientists have found that measuring how cancer treatment affects the levels of metabolites – the building blocks of fats and proteins – can be used to assess whether the drug is hitting its intended target. This new way of monitoring cancer therapy could speed up the development of new targeted drugs – which exploit specific genetic weaknesses in cancer cells – and help in tailoring treatment for patients. Scientists at The Institute of Cancer Research, London, measured the levels of 180 blood markers in 41 patients with advanced cancers in a phase I clinical trial conducted with The Royal Marsden NHS Foundation Trust. They found that investigating the mix of metabolic markers could accurately assess how cancers were responding to the targeted drug pictilisib. Their study was funded by the Wellcome Trust, Cancer Research UK and the pharmaceutical company Roche, and is published in the journal Molecular Cancer Therapeutics. Pictilisib is designed to specifically target a molecular pathway in cancer cells, called PI3 kinase, which has key a role in cell metabolism and is defective in a range of cancer types. As cancers with PI3K defects grow, they can cause a decrease in the levels of metabolites in the bloodstream. The new study is the first to show that blood metabolites are testable indicators of whether or not a new cancer treatment is hitting the correct target, both in preclinical mouse models and also in a trial of patients. Using a sensitive technique called mass spectrometry, scientists at The Institute of Cancer Research (ICR) initially analysed the metabolite levels in the blood of mice with cancers that had defects in the PI3K pathway. They found that the blood levels of 26 different metabolites, which were low prior to therapy, had risen considerably following treatment with pictilisib. Their findings indicated that the drug was hitting its target, and reversing the effects of the cancer on mouse metabolites. Similarly, in humans the ICR researchers found that almost all of the metabolites – 22 out of the initial 26 – once again rose in response to pictilisib treatment, as seen in the mice. Blood levels of the metabolites began to increase after a single dose of pictilisib, and were seen to drop again when treatment was stopped, suggesting that the effect was directly related to the drug treatment. Metabolites vary naturally depending on the time of day or how much food a patient has eaten. But the researchers were able to provide the first strong evidence that despite this variation metabolites can be used to test if a drug is working, and could help guide decisions about treatment. Researchers at the Gladstone Institutes say they have found a new pathway by which salicylic acid, a key compound in the nonsteroidal anti-inflammatory drugs aspirin and diflunisal, stops inflammation and cancer. In a study (“Salicylate, Diflunisal and Their Metabolites Inhibit CBP/p300 and Exhibit Anticancer Activity”) published in eLife, the investigators discovered that both salicylic acid and diflunisal suppress two key proteins that help control gene expression throughout the body. These sister proteins, p300 and CREB-binding protein (CBP), are epigenetic regulators that control the levels of proteins that cause inflammation or are involved in cell growth. By inhibiting p300 and CBP, salicylic acid and diflunisal block the activation of these proteins and prevent cellular damage caused by inflammation. This study provides the first concrete demonstration that both p300 and CBP can be targeted by drugs and may have important clinical implications, according to Eric Verdin, M.D., associate director of the Gladstone Institute of Virology and Immunology . Researchers at Georgia State University have designed a new protein compound that can effectively target the cell surface receptor integrin v3, mutations in which have been linked to a number of diseases. Initial results using this new molecule show its potential as a therapeutic treatment for an array of illnesses, including cancer. The novel protein molecule targets integrin v3 at a novel site that has not been targeted by other scientists. The researchers found that the molecule induces apoptosis, or programmed cell death, of cells that express integrin v3. This integrin has been a focus for drug development because abnormal expression of v3 is linked to the development and progression of various diseases. The findings from this study were published recently in Nature Communications in an article entitled “Rational Design of a Protein That Binds Integrin αvβ3 Outside the Ligand Binding Site.” ….. The investigators performed extensive cell and molecular testing that confirmed ProAgio interacts and binds well with integrin v3. Interestingly, they found that ProAgio induces apoptosis by recruiting caspase 8—an enzyme that plays an essential role in programmed cell death—to the cytoplasmic area of integrin v3. ProAgio was much more effective in inducing cell death than other agents tested. Bits of the transcriptome once believed to function as RNA molecules are in fact translated into small proteins. In 2002, a group of plant researchers studying legumes at the Max Planck Institute for Plant Breeding Research in Cologne, Germany, discovered that a 679-nucleotide RNA believed to function in a noncoding capacity was in fact a protein-coding messenger RNA (mRNA).1 It had been classified as a long (or large) noncoding RNA (lncRNA) by virtue of being more than 200 nucleotides in length. The RNA, transcribed from a gene called early nodulin 40 (ENOD40), contained short open reading frames (ORFs)—putative protein-coding sequences bookended by start and stop codons—but the ORFs were so short that they had previously been overlooked. When the Cologne collaborators examined the RNA more closely, however, they found that two of the ORFs did indeed encode tiny peptides: one of 12 and one of 24 amino acids. Sampling the legumes confirmed that these micropeptides were made in the plant, where they interacted with a sucrose-synthesizing enzyme. Five years later, another ORF-containing mRNA that had been posing as a lncRNA was discovered inDrosophila.2,3 After performing a screen of fly embryos to find lncRNAs, Yuji Kageyama, then of the National Institute for Basic Biology in Okazaki, Japan, suppressed each transcript’s expression. “Only one showed a clear phenotype,” says Kageyama, now at Kobe University. Because embryos missing this particular RNA lacked certain cuticle features, giving them the appearance of smooth rice grains, the researchers named the RNA “polished rice” (pri). Since then, a handful of other lncRNAs have switched to the mRNA ranks after being found to harbor micropeptide-encoding short ORFs (sORFs)—those less than 300 nucleotides in length. And given the vast number of documented lncRNAs—most of which have no known function—the chance of finding others that contain micropeptide codes seems high. From the late 1990s into the 21st century, as species after species had their genomes sequenced and deposited in databases, the search for novel genes and their associated mRNAs duly followed. With millions or even billions of nucleotides to sift through, researchers devised computational shortcuts to hunt for canonical gene and mRNA features, such as promoter regions, exon/intron splice sites, and, of course, ORFs. ORFs can exist in practically any stretch of RNA sequence by chance, but many do not encode actual proteins. Because the chance that an ORF encodes a protein increases with its length, most ORF-finding algorithms had a size cut-off of 300 nucleotides—translating to 100 amino acids. This allowed researchers to “filter out garbage—that is, meaningless ORFs that exist randomly in RNAs,” says Eric Olsonof the University of Texas Southwestern Medical Center in Dallas. Of course, by excluding all ORFs less than 300 nucleotides in length, such algorithms inevitably missed those encoding genuine small peptides. “I’m sure that the people who came up with [the cut-off] understood that this rule would have to miss anything that was shorter than 100 amino acids,” saysNicholas Ingolia of the University of California, Berkeley. “As people applied this rule more and more, they sort of lost track of that caveat.” Essentially, sORFs were thrown out with the computational trash and forgotten. “When we zeroed in on the conserved region [of the gene], Doug found that it began with an ATG [start] codon and it terminated with a stop codon,” Olson says. “That’s when he looked at whether it might encode a peptide and found that indeed it did.” The researchers dubbed the peptide myoregulin, and found that it functioned as a critical calcium pump regulator for muscle relaxation. From whole cells to genes, closer examination continues to surprise. Little things mean a lot. To any biologist, this time-worn maxim is old news. But it’s worth revisiting. As several articles in this issue of The Scientist illustrate, how researchers define and examine the “little things” does mean a lot. Consider this month’s cover story, “Noncoding RNAs Not So Noncoding,” by TS correspondent Ruth Williams. Combing the human genome for open reading frames (ORFs), sequences bracketed by start and stop codons, yielded a protein-coding count somewhere in the neighborhood of 24,000. That left a lot of the genome relegated to the category of junk—or, later, to the tens of thousands of mostly mysterious long noncoding RNAs (lncRNAs). But because they had only been looking for ORFs that were 300 nucleotides or longer (i.e., coding for proteins at least 100 amino acids long), genome probers missed so-called short ORFs (sORFs), which encode small peptides. “Their diminutive size may have caused these peptides to be overlooked, their sORFs to be buried in statistical noise, and their RNAs to be miscategorized, but it does not prevent them from serving important, often essential functions, as the micropeptides characterized to date demonstrate,” writes Williams. How little things work definitely informs another field of life science research: synthetic biology. As the functions of genes and gene networks are sussed out, bioengineers are using the information to design small, synthetic gene circuits that enable them to better understand natural networks. In “Synthetic Biology Comes into Its Own,” Richard Muscat summarizes the strides made by synthetic biologists over the last 15 years and offers an optimistic view of how such networks may be put to use in the future. And to prove him right, just as we go to press, a collaborative group led by one of syn bio’s founding fathers, MIT’s James Collins, has devised a paper-based test for Zika virus exposure that relies on a freeze-dried synthetic gene circuit that changes color upon detection of RNAs in the viral genome. The results are ready in a matter of hours, not the days or weeks current testing takes, and the test can distinguish Zika from dengue virus. “What’s really exciting here is you can leverage all this expertise that synthetic biologists are gaining in constructing genetic networks and use it in a real-world application that is important and can potentially transform how we do diagnostics,” commented one researcher about the test. Anticancer Agents Med Chem. 2010 Dec; 10(10): 753–768. Cilengitide, a cyclic RGD pentapeptide, is currently in clinical phase III for treatment of glioblastomas and in phase II for several other tumors. This drug is the first anti-angiogenic small molecule targeting the integrins αvβ3, αvβ5 and α5β1. It was developed by us in the early 90s by a novel procedure, the spatial screening. This strategy resulted in c(RGDfV), the first superactive αvβ3 inhibitor (100 to 1000 times increased activity over the linear reference peptides), which in addition exhibited high selectivity against the platelet receptor αIIbβ3. This cyclic peptide was later modified by N-methylation of one peptide bond to yield an even greater antagonistic activity in c(RGDf(NMe)V). This peptide was then dubbed Cilengitide and is currently developed as drug by the company Merck-Serono (Germany). This article describes the chemical development of Cilengitide, the biochemical background of its activity and a short review about the present clinical trials. The positive anti-angiogenic effects in cancer treatment can be further increased by combination with “classical” anti-cancer therapies. Several clinical trials in this direction are under investigation. Integrins are heterodimeric receptors that are important for cell-cell and cell-extracellular matrix (ECM) interactions and are composed of one α and one β-subunit [1, 2]. These cell adhesion molecules act as transmembrane linkers between their extracellular ligands and the cytoskeleton, and modulate various signaling pathways essential in the biological functions of most cells. Integrins play a crucial role in processes such as cell migration, differentiation, and survival during embryogenesis, angiogenesis, wound healing, immune and non-immune defense mechanisms, hemostasis and oncogenic transformation . The fact that many integrins are also linked with pathological conditions has converted them into very promising therapeutic targets . In particular, integrins αvβ3, αvβ5 and α5β1 are involved in angiogenesis and metastasis of solid tumors, being excellent candidates for cancer therapy [4–7]. There are a number of different integrin subtypes which recognize and bind to the tripeptide sequence RGD (arginine, glycine, aspartic acid), which represents the most prominent recognition motif involved in cell adhesion. For example, the pro-angiogenic αvβ3 integrin binds various RGD-containing proteins, including fibronectin (Fn), fibrinogen (Fg), vitronectin (Vn) and osteopontin . It is therefore not surprising that this integrin has been targeted for cancer therapy and that RGD-containing peptides and peptidomimetics have been designed and synthesized aiming to selectively inhibit this receptor [9, 10]. One classical strategy used in drug design is based on the knowledge about the structure of the receptor-binding pocket, preferably in complex with the natural ligand. However, this strategy, the so-called “rational structure-based design”, could not be applied in the field of integrin ligands since the first structures of integrin’s extracellular head groups were not described until 2001 for αvβ3  (one year later, in 2002 the structure of this integrin in complex with Cilengitide was also reported ) and 2004 for αIIbβ3 . Therefore, initial efforts in this field focused on a “ligand-oriented design”, which concentrated on optimizing RGD peptides by means of different chemical approaches in order to establish structure-activity relationships and identify suitable ligands. We focused our interest in finding ligands for αvβ3 and based our approach on three chemical strategies pioneered in our group: 1) Reduction of the conformational space by cyclization; 2) Spatial screening of cyclic peptides; and 3)N-Methyl scan. The combination of these strategies lead to the discovery of the cyclic peptidec(RGDf(NMe)V) in 1995. This peptide showed subnanomolar antagonistic activity for the αvβ3 receptor, nanomolar affinities for the closely related integrins αvβ5 and α5β1, and high selectivity towards the platelet receptor αIIbβ3. The peptide was patented together with Merck in 1997 (patent application submitted in 15.9.1995, opened in 20.3.1997)  and first presented with Merck’s agreement at the European Peptide Symposium in Edinburgh (September 1996) . The synthesis and activity of this molecule was finally published in 1999 . This peptide is now developed by Merck-Serono, (Darmstadt, Germany) under the name “Cilengitide” and has recently entered Phase III clinical trials for treating glioblastoma . ….. The discovery 30 years ago of the RGD motif in Fn was a major breakthrough in science. This tripeptide sequence was also identified in other ECM proteins and was soon described as the most prominent recognition motif involved in cell adhesion. Extensive research in this direction allowed the description of a number of bidirectional proteins, the integrins, which were able to recognize and bind to the RGD sequence. Integrins are key players in the biological function of most cells and therefore the inhibition of RGD-mediated integrin-ECM interactions became an attractive target for the scientific community. However, the lack of selectivity of linear RGD peptides represented a major pitfall which precluded any clinical application of RGD-based inhibitors. The control of the molecule’s conformation by cyclization and further spatial screening overcame these limitations, showing that it is possible to obtain privileged bioactive structures, which enhance the biological activity of linear peptides and significantly improve their receptor selectivity. Steric control imposed in RGD peptides together with their biological evaluation and extensive structural studies yielded the cyclic peptide c(RGDfV), the first small selective anti-angiogenic molecule described. N-Methylation of this cyclic peptide yielded the much potentc(RGDf(NMe)V), nowadays known as Cilengitide. The fact that brain tumors, which are highly angiogenic, are more susceptible to the treatment with integrin antagonists, and the positive synergy observed for Cilengitide in combination with radio-chemotherapy in preclinical studies, encouraged subsequent clinical trials. Cilengitide is currently in phase III for GBM patients and in phase II for other types of cancers, with to date a promising therapeutic outcome. In addition, the absence of significant toxicity and excellent tolerance of this drug allows its combination with classical therapies such as RT or cytotoxic agents. The controlled phase III study CENTRIC was launched in 2008, with primary outcome measures due on September 2012. The results of this and other clinical studies are expected with great hope and interest. Integrins are heterodimeric, transmembrane receptors that function as mechanosensors, adhesion molecules and signal transduction platforms in a multitude of biological processes. As such, integrins are central to the etiology and pathology of many disease states. Therefore, pharmacological inhibition of integrins is of great interest for the treatment and prevention of disease. In the last two decades several integrin-targeted drugs have made their way into clinical use, many others are in clinical trials and still more are showing promise as they advance through preclinical development. Herein, this review examines and evaluates the various drugs and compounds targeting integrins and the disease states in which they are implicated. Integrins are heterodimeric cell surface receptors found in nearly all metazoan cell types, composed of non-covalently linked α and β subunits. In mammals, eighteen α-subunits and eight β-subunits have been identified to date 1. From this pool, 24 distinct heterodimer combinations have been observed in vivo that confer cell-to-cell and cell-to-ligand specificity relevant to the host cell and the environment in which it functions 2. Integrin-mediated interactions with the extracellular matrix (ECM) are required for the attachment, cytoskeletal organization, mechanosensing, migration, proliferation, differentiation and survival of cells in the context of a multitude of biological processes including fertilization, implantation and embryonic development, immune response, bone resorption and platelet aggregation. Integrins also function in pathological processes such as inflammation, wound healing, angiogenesis, and tumor metastasis. In addition, integrin binding has been identified as a means of viral entry into cells 3. …. Combination of cilengitide and radiation therapy and temozolomide. The addition of cilengitide to radiotherapy and temozolomide based treatment regimens has shown promising preliminary results in ongoing Phase II trials in both newly diagnosed and progressive glioblastoma multiforme 139–140. In addition to the Phase II objectives sought, these trials are significant in that they represent progress that has made in determining tumor drug uptake and in identifying a subset of patients that may benefit from treatment. In a Phase II trial enrolling 52 patients with newly diagnosed glioblastoma multiforme receiving 500 mg cilengitide twice weekly during radiotherapy and in combination with temozolomide for 6 monthly cycles following radiotherapy, 69% achieved 6 months progression free survival compared to 54 % of patients receiving radiotherapy followed by temozolomide alone. The one-year overall survival was 67 and 62 % of patients for the cilengitide combination group and the radiotherapy and temozolomide group, respectively. Non-hematological grade 3-4 toxcities were limited, and included symptoms of fatigue, asthenia, anorexia, elevated liver function tests, deep vein thrombosis and pulmonary embolism in across a total of 5.7% of the patients. Grade 3-4 hematological malignancies were more common and included lymphopenia (53.8%), thrombocytopenia (13.4%) and neutropenia (9.6%). This trial is significant in the fact that is has provided the first evidence correlating a molecular biomarker with response to treatment. Decreased methylguanine methyltransferase (MGMT) expression was associated with favorable outcome. Patients harboring increased MGMT promoter methylation appeared to benefit more from combined treatment with cilengitide than did patients lacking promoter methylation. The significance of the MGMT promoter methylation in predicting response is likely due to inclusion of temozolomide in the treatment combination. A similar Phase II study evaluating safety and differences in overall survival among newly diagnosed glioblastoma multiforme patients receiving radiation therapy combined with temozolomide and varying doses of cilengitide is nearing completion. Preliminary reports specify that initial safety run-in studies in 18 patients receiving doses 500, 1000 and 2000 mg cilengitide found no dose limiting toxicities. Subsequently 94 patients were randomized to receive standard therapy plus 500 or 2000 mg cilengitide. Median survival time in both cohorts was 18.9 months. At 12 months the overall survival was 79.5 % (89/112 patients). In the last two decades great progress has been made in the discovery and development of integrin targeted therapeutics. Years of intense research into integrin function has provided an understanding of the potential applications for the treatment of disease. Advances in structural characterization of integrin-ligand interactions has proved beneficial in the design and development of potent, selective inhibitors for a number of integrins involved in platelet aggregation, inflammatory responses, angiongenesis, neovascularization and tumor growth. The αIIbβ3 integrin antagonists were the first inhibitors to make their way into clinical use and have proven to be effective and safe drugs, contributing to the reduction of mortality and morbidity associated with acute coronary syndromes. Interestingly, the prolonged administration of small molecules targeting this integrin for long-term prevention of thrombosis related complications have not been successful, for reasons that are not yet fully understood. This suggests that modulating the intensity, duration and temporal aspects of integrin function may be more effective than simply shutting off integrin signaling in some instances. Further research into the dynamics of platelet activation and thrombosis formation may elucidate the mechanisms by which integrin activation is modulated. The introduction of α4 targeted therapies held great promise for the treatment of inflammatory diseases. The development of Natalizumab greatly improved the quality of life for multiple sclerosis patients and those suffering with Crohn’s Disease compared to previous treatments, but the role in asthma related inflammation could not be validated. Unfortunately for MS and Crohn’s patients, immune surveillance in the central nervous system was also compromised as a direct effect α4β7 antagonism, with potentially lethal effects. Thus Natalizumab and related α4β7 targeting drugs are now limited to patients refractory to standard therapies. The design and development of α4β1 antagonists for the treatment of Crohn’s Disease may offer benefit with decreased risks. The involvement of these integrins in fetal development also raises concerns for widespread clinical use. Integrin antagonists that target angiogenesis are progressing through clinical trials. Cilengitide has shown promising results for the treatment of glioblastomas and recurrent gliomas, cancers with notoriously low survival and cure rates. The greatest challenge facing the development of anti-angiogenic integrin targeted therapies is the overall lack of biomarkers by which to measure treatment efficacy. Integrin α5β1 is a key receptor for the extracellular matrix protein fibronectin. Antagonists of human α5β1 have therapeutic potential as anti-angiogenic agents in cancer and diseases of the eye. However, the structure of the integrin is unsolved and the atomic basis of fibronectin and antagonist binding by α5β1 is poorly understood. Here we demonstrate that zebrafish α5β1 integrins do not interact with human fibronectin or the human α5β1 antagonists JSM6427 and cyclic peptide CRRETAWAC. Zebrafish α5β1 integrins do bind zebrafish fibronectin-1, and mutagenesis of residues on the upper surface and side of the zebrafish α5 subunit β-propeller domain shows that these residues are important for the recognition of RGD and synergy sites in fibronectin. Using a gain-of-function analysis involving swapping regions of the zebrafish α5 subunit with the corresponding regions of human α5 we show that blades 1-4 of the β-propeller are required for human fibronectin recognition, suggesting that fibronectin binding involves a broad interface on the side and upper face of the β-propeller domain. We find that the loop connecting blades 2 and 3 of the β-propeller (D3-A3 loop) contains residues critical for antagonist recognition, with a minor role played by residues in neighbouring loops. A new homology model of human α5β1 supports an important function for D3-A3 loop residues Trp-157 and Ala-158 in the binding of antagonists. These results will aid the development of reagents that block α5β1 functions in vivo. Integrins are cell adhesion molecules that mediate cell-cell, cell-extracellular matrix, and cellpathogen interactions. They play critical roles for the immune system in leukocyte trafficking and migration, immunological synapse formation, costimulation, and phagocytosis. Integrin adhesiveness can be dynamically regulated through a process termed inside-out signaling. In addition, ligand binding transduces signals from the extracellular domain to the cytoplasm in the classical outside-in direction. Recent structural, biochemical, and biophysical studies have greatly advanced our understanding of the mechanisms of integrin bidirectional signaling across the plasma membrane. Large-scale reorientations of the ectodomain of up to 200 Å couple to conformational change in ligand-binding sites and are linked to changes in α and β subunit transmembrane domain association. In this review, we focus on integrin structure as it relates to affinity modulation, ligand binding, outside-in signaling, and cell surface distribution dynamics. The immune system relies heavily on integrins for (a) adhesion during leukocyte trafficking from the bloodstream, migration within tissues, immune synapse formation, and phagocytosis; and (b) signaling during costimulation and cell polarization. Integrins are so named because they integrate the extracellular and intracellular environments by binding to ligands outside the cell and cytoskeletal components and signaling molecules inside the cell. Integrins are noncovalently associated heterodimeric cell surface adhesion molecules. In vertebrates, 18 α subunits and 8 β subunits form 24 known αβ pairs (Figure 1). This diversity in subunit composition contributes to diversity in ligand recognition, binding to cytoskeletal components and coupling to downstream signaling pathways. Immune cells express at least 10 members of the integrin family belonging to the β2, β7, and β1 subfamilies (Table 1). The β2 and β7 integrins are exclusively expressed on leukocytes, whereas the β1 integrins are expressed on a wide variety of cells throughout the body. Distribution and ligand-binding properties of the integrins on leukocytes are summarized in Table 1. For reviews, see References 1 and 2. Mutations that block expression of the β2 integrin subfamily lead to leukocyte adhesion deficiency, a disease associated with severe immunodeficiency (3). As adhesion molecules, integrins are unique in that their adhesiveness can be dynamically regulated through a process termed inside-out signaling or priming. Thus, stimuli received by cell surface receptors for chemokines, cytokines, and foreign antigens initiate intracellular signals that impinge on integrin cytoplasmic domains and alter adhesiveness for extracellular ligands. In addition, ligand binding transduces signals from the extracellular domain to the cytoplasm in the classical outside-in direction (outside-in signaling). These dynamic properties of integrins are central to their proper function in the immune system. Indeed, mutations or small molecules that stabilize either the inactive state or the active adhesive state—and thereby block the adhesive dynamics of leukocyte integrins—inhibit leukocyte migration and normal immune responses. 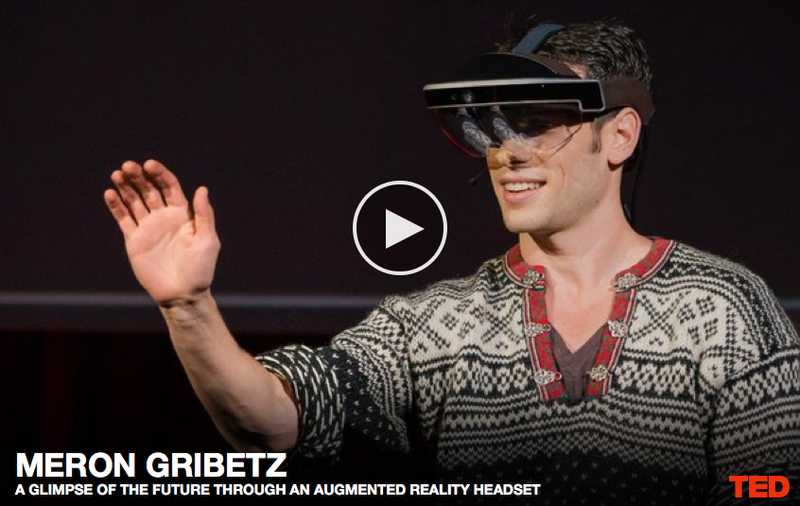 TED just released the full video of Meta CEO Meron Gribetz’s preview of Meta’s next-generation augmented reality (AR) technology at the TED 2016 conference on Feb. 17. It can be found online at metavision.com and TED.com. The direct link to the video can be found athttp://www.ted.com/talks/quick-list for those who (like Google) have issues with “flash”. I think that the most interesting point Meron made was about shared interactions, that will be the “killer app” for AR. AR systems will need to be able to differentiate between command gestures and language gestures. Without this ability AR could be dangerous to use in many contexts. The simplest way would to not act on gestures when the user is talking, but this limitation may be unreasonable. Only an intelligent, adaptive, system could be sophisticated enough at interpreting clues to do this, therefore the future success of AR depends on AI. Researchers at University of California, San Diego School of Medicine and Shiley Eye Institute, with colleagues in China, have developed an eye lens restoration treatment that has been tested in monkeys and in a small human clinical trial. It produced much fewer surgical complications than the current standard-of-care and resulted in regenerated lenses with superior visual function in all 12 of the pediatric cataract patients who received the new surgery. Congenital cataracts — lens clouding that occurs at birth or shortly thereafter — is a significant cause of blindness in children. After confirming the regenerative potential of LECs in animal models, the researchers developed a novel minimally invasive surgery method that preserves the integrity of the lens capsule — a membrane that helps give the lens its required shape to function — and also developed a way to stimulate LECs to grow and form a new lens with vision. They found the new surgical technique allowed pre-existing LECs to regenerate functional lenses, producing a clear, regenerated biconvex lens in all of the patients’ eyes after three months. Zhang said he and colleagues are now looking to expand their work to treating age-related cataracts. Age-related cataracts is the leading cause of blindness in the world. More than 20 million Americans suffer from cataracts, and more than 4 million surgeries are performed annually to replace the clouded lens with an artificial plastic version, called an intraocular lens. The findings are published in the March 9 online issue of Nature. Co-authors on the study include scientists at UC San Diego; Sichuan University, China; Guangzhou KangRui Biological Pharmaceutical Technology Company, China; and University of Texas Southwestern Medical Center. Funding for this research came, in part, from the 973 Program (National Basic Research Program of China); a Major International Joint Research Project; 863 Program (State High-Tech Development Plan of China); the National Natural Science Foundation of China; the State Key Laboratory of Ophthalmology, Zhongshan Ophthalmic Center, Sun Yatsen University; Research to Prevent Blindness; and the Howard Hughes Medical Institute. * Chief of Ophthalmic Genetics, founding director of the Institute for Genomic Medicine and co-director of Biomaterials and Tissue Engineering at the Institute of Engineering in Medicine, both at UC San Diego School of Medicine. The repair and regeneration of tissues using endogenous stem cells represents an ultimate goal in regenerative medicine. 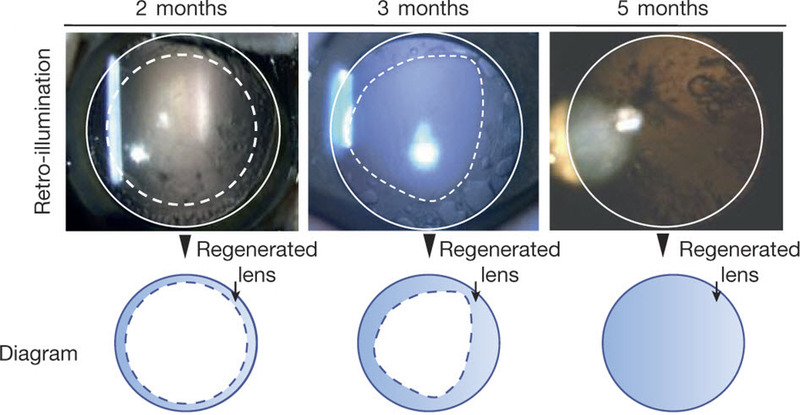 To our knowledge, human lens regeneration has not yet been demonstrated. Currently, the only treatment for cataracts, the leading cause of blindness worldwide, is to extract the cataractous lens and implant an artificial intraocular lens. However, this procedure poses notable risks of complications. Here we isolate lens epithelial stem/progenitor cells (LECs) in mammals and show that Pax6 and Bmi1 are required for LEC renewal. We design a surgical method of cataract removal that preserves endogenous LECs and achieves functional lens regeneration in rabbits and macaques, as well as in human infants with cataracts. Our method differs conceptually from current practice, as it preserves endogenous LECs and their natural environment maximally, and regenerates lenses with visual function. Our approach demonstrates a novel treatment strategy for cataracts and provides a new paradigm for tissue regeneration using endogenous stem cells. The production of replacement cells from human pluripotent stem cell (hPSC) sources has great potential for the treatment of certain forms of vision impairment and blindness. The production of functional stem cell-derived retinal-pigmented epithelium (RPE) is already a notable success, although the equivalent success in photoreceptor cell production has so far lagged behind, due partly to the lack of robust human cell surface markers to allow their purification. To get round this problem, canny researchers from the laboratory of Majlinda Lako (Newcastle University, United Kingdom) have used zinc finger nuclease (ZFN) gene editing technology to create a reporter embryonic stem cell (ESC) line suitable for the enhanced production of photoreceptor cells . The authors targeted a green fluorescent protein (GFP) reporter into the endogenous locus of the Cone-Rod Homeobox (CRX) transcription factor gene which is known to be selectively expressed post-mitotic retinal photoreceptor precursors. 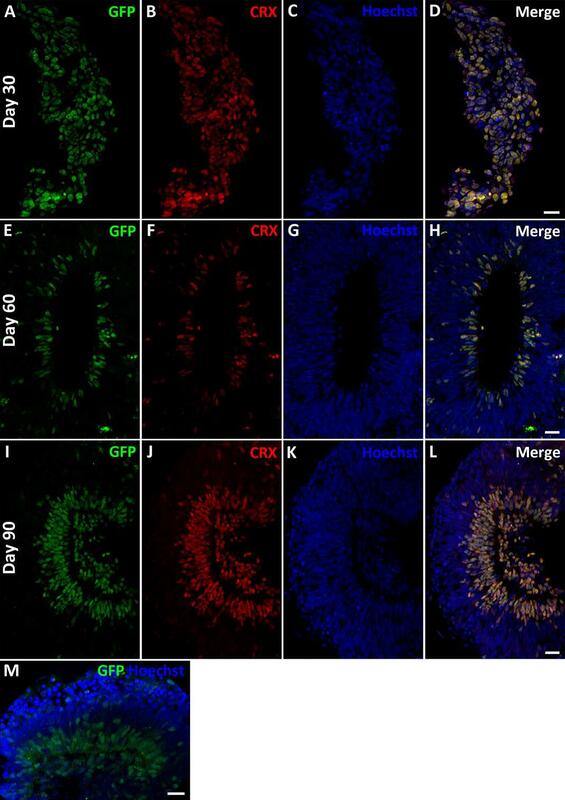 The integration of this reporter into hESCs did not negatively affect genomic stability or pluripotency and, following 3D differentiation to form laminated neural retina , GFP expression faithfully mimicked the known expression patterns of CRX (See Figure). In-depth expression analysis of CRX-positive cells then demonstrated the restriction of GFP-CRX to only two cell types within the 90-day differentiation protocol: RECOVERIN-expressing photoreceptor precursors situated in the developing outer nuclear layer of the optic cup and a subpopulation of non-proliferative retinal progenitors. Importantly, the study detected the expression of genes known to be activated by CRX, so suggesting that GFP-targeting does not affect the functionality of the transcription factor. In conclusion, the authors have created a CRX-GFP-labeled hESC line which can be used to identify, purify, and study photoreceptor precursors during hESC differentiation, in the hope of improving differentiation protocols, discovering cell surface markers, and developing clinically applicable strategies for transplantation. 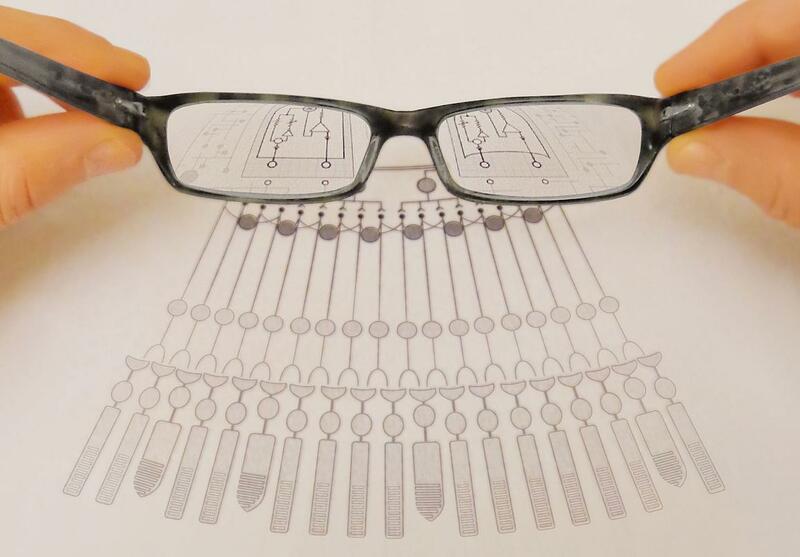 A great tool for those working towards generating treatments for vision impairment and blindness. Collin J, Mellough CB, Dorgau B, et al. Using Zinc Finger Nuclease Technology to Generate CRX-Reporter Human Embryonic Stem Cells as a Tool to Identify and Study the Emergence of Photoreceptors Precursors During Pluripotent Stem Cell Differentiation. STEM CELLS 2016;34:311-321. Mellough CB, Collin J, Khazim M, et al. IGF-1 Signaling Plays an Important Role in the Formation of Three-Dimensional Laminated Neural Retina and Other Ocular Structures From Human Embryonic Stem Cells. Stem Cells 2015;33:2416-2430. Our eyes constantly send bits of information about the world around us to our brains where the information is assembled into objects we recognize. Along the way, a series of neurons in the eye uses electrical and chemical signals to relay the information. In a study of mice, National Institutes of Health scientists showed how one type of neuron may do this to distinguish moving objects. The study suggests that the NMDA receptor, a protein normally associated with learning and memory, may help neurons in the eye and the brain relay that information. Vision begins when light enters the eye and hits the retina, which lines the back of the eyeball. Neurons in the retina convert light into nerve signals which are then sent to the brain. Using retinas isolated from mice, Dr. Alon Poleg-Polsky, Ph.D. a postdoctoral fellow in Dr. Diamond’s lab, studied neurons called directionally selective retinal ganglion cells (DSGCs), which are known to fire and send signals to the brain in response to objects moving in specific directions across the eye. Electrical recordings showed that some of these cells fired when a bar of light passed across the retina from left to right, whereas others responded to light crossing in the opposite direction. Previous studies suggested these unique responses are controlled by incoming signals sent from neighboring cells at chemical communication points called synapses. In this study, Dr. Poleg-Polsky discovered that the activity of NMDA receptors at one set of synapses may regulate whether DSGCs sent direction-sensitive information to the brain. NMDA receptors are proteins that generate electrical signals in response to the neurochemicals glutamate and glycine. When activated, they allow electrically charged ions to flow in and out of cells like water through an unlocked canal. In the early 1980s, studies in France and at the NIH showed that magnesium blocks the flow until the neuron is strongly activated and its electrical state rises above a certain voltage. This regulation is thought to be critical for certain types of learning and memory, and in amplifying signals in neurons. Further experiments by Dr. Poleg-Polsky examined how magnesium’s control of NMDA receptors may regulate the firing of DSGCs. To mimic realistic conditions, Dr. Poleg-Polsky passed bars of light across retinas while exposing them to various background lights. The results suggested that the variable magnesium block that ensured the cells consistently sent information to the brain in response to the passing bars of light despite the distracting incoming stream of signals generated by the background lights. The NMDA receptors did this by amplifying the cells’ responses to the bars in a process called multiplicative scaling. Neurons in the eye and brain receive a constant stream of information. The results of this study support a growing body of evidence suggesting that NMDA receptors play in critical role in how neurons relay information. This work was supported by the NINDS Division of Intramural Research. Poleg-Polsky et al. report a novel form of multiplicative synaptic integration in retinal directionally selective ganglion cells that is mediated by NMDARs and directionally tuned synaptic inhibition. NMDAR-mediated multiplication enhances the accuracy of motion discrimination in noisy visual conditions. Postsynaptic responses in many CNS neurons are typically small and variable, often making it difficult to distinguish physiologically relevant signals from background noise. To extract salient information, neurons are thought to integrate multiple synaptic inputs and/or selectively amplify specific synaptic activation patterns. Here, we present evidence for a third strategy: directionally selective ganglion cells (DSGCs) in the mouse retina multiplicatively scale visual signals via a mechanism that requires both nonlinear NMDA receptor (NMDAR) conductances in DSGC dendrites and directionally tuned inhibition provided by the upstream retinal circuitry. Postsynaptic multiplication enables DSGCs to discriminate visual motion more accurately in noisy visual conditions without compromising directional tuning. These findings demonstrate a novel role for NMDARs in synaptic processing and provide new insights into how synaptic and network features interact to accomplish physiologically relevant neural computations. NIH-funded clinical trial shows Eylea, Avastin, and Lucentis perform similarly when vision loss is mild. A two-year clinical trial that compared three drugs for diabetic macular edema (DME) found that gains in vision were greater for participants receiving the drug Eylea (aflibercept) than for those receiving Avastin (bevacizumab), but only among participants starting treatment with 20/50 or worse vision. Gains after two years were about the same for Eylea and Lucentis (ranibizumab), contrary to year-one results from the study, which showed Eylea with a clear advantage. The three drugs yielded similar gains in vision for patients with 20/32 or 20/40 vision at the start of treatment. The clinical trial was conducted by the Diabetic Retinopathy Clinical Research Network (DRCR.net), which is funded by the National Eye Institute, part of the National Institutes of Health. Eylea, Avastin, and Lucentis are all widely used to treat DME, a consequence of diabetes that can cause blurring of central vision due to the leakage of fluid from abnormal blood vessels in the retina. The macula is the area of the retina used when looking straight ahead. The drugs are injected into the eye and work by inhibiting vascular endothelial growth factor (VEGF), a substance that can promote abnormal blood vessel growth and leakage. Although the drugs have a similar mode of action, they differ significantly in cost. Based on Medicare allowable charges, the per-injection costs of each drug at the doses used in this study were about $1850 for Eylea, about $60 for Avastin, and about $1200 for Lucentis. DRCR.net investigators enrolled 660 people with DME at 89 clinical trial sites across the United States. When the study began, participants on average were 61 years old with 17 years of type 1 or type 2 diabetes. Only people with a visual acuity of 20/32 or worse were eligible to participate (to see clearly, a person with 20/32 vision would have to be 20 feet away from an object that a person with normal vision could see clearly at 32 feet). At enrollment, about half the participants had 20/32 to 20/40 vision. The other half had 20/50 or worse vision. In many states, a corrected visual acuity of 20/40 or better in at least one eye is required for a driver’s license that allows both day- and nighttime driving. Each participant was assigned randomly to receive Eylea (2.0 milligrams/0.05 milliliter), Avastin (1.25 mg/0.05 mL), or Lucentis (0.3 mg/0.05 mL). Participants were evaluated monthly during the first year and every 4-16 weeks during the second year. Most participants received monthly injections during the first six months. Thereafter, participants received additional injections of assigned study drug until DME resolved or stabilized with no further vision improvement. Subsequently, injections were resumed if DME worsened. Additionally, laser treatment was given if DME persisted without continual improvement after six months of injections. Laser treatment alone was the standard treatment for DME until widespread adoption of anti-VEGF drugs a few years ago. Among participants with 20/40 or better vision at the trial’s start, all three drugs improved vision similarly on an eye chart. On average, participants’ vision improved from 20/40 vision to 20/25. Among participants with 20/50 or worse vision at the trial’s start, visual acuity on average improved substantially in all three groups. At two years, Eylea participants were able to read about 3.5 additional lines on an eye chart; Lucentis participants were able to read about three additional lines, and Avastin participants improved about 2.5 lines, compared with visual acuity before treatment. Eylea outperformed Avastin at the one- and two-year time points. While Eylea outperformed Lucentis at the one-year time point, by the two-year time point gains in visual acuity were statistically no different. At the end of the trial, average visual acuity was 20/32 to 20/40 among participants in all three groups. The number of injections participants needed was about the same for all three treatment groups. Eylea, Avastin, and Lucentis participants on average required nine injections in the first year of the study and five in the second year. The need for laser treatment varied among the three treatment groups. By two years, 41 percent of participants in the Eylea group received laser treatment to treat their macular edema, compared with 64 percent of participants in the Avastin group and 52 percent in the Lucentis group. The risk of heart attack, stroke, or death from a cardiovascular condition or an unknown cause by end of the trial was higher among participants in the Lucentis group. Twelve percent of Lucentis participants had at least one event, compared with five percent of participants in the Eylea group and eight percent of participants in the Avastin group. This difference in cardiovascular rates has not been seen across all other studies, and therefore may be due to chance. Continued assessment of these serious cardiovascular events and their association with these drugs is important in future studies. Cardiovascular events such as heart attack and stroke are common complications of diabetes. The occurrence of eye complications, such as eye infections and inflammation, was similar for all three drugs. Results of the study were published online today in Ophthalmology, the journal of the American Academy of Ophthalmology. Eylea and Lucentis were provided by drug manufacturers Regeneron and Genentech, respectively. Additional research funding for this study was provided by the National Institute of Diabetes and Digestive and Kidney Diseases, also a part of NIH. “This important study would not have happened without funding from the National Institutes of Health and the cooperation of two competing companies,” said Adam R. Glassman, M.S., principal investigator of the DRCR.Net Coordinating Center at the Jaeb Center for Health Research. The DRCR.net is dedicated to facilitating multicenter clinical research of diabetic eye disease. The Network formed in 2002 and comprises more than 350 physicians practicing at more than 140 clinical sites across the country. For more information, visit the DRCR.net website at http://drcrnet.jaeb.org/(link is external). The study was funded by grants EY14231, EY14229, and EY18817. The study is registered as NCT01627249 at ClinicalTrials.gov. Macular edema can arise during any stage of diabetic retinopathy and is the most common cause of diabetes-related vision loss. About 7.7 million Americans have diabetic retinopathy. Of these, about 750,000 have DME. 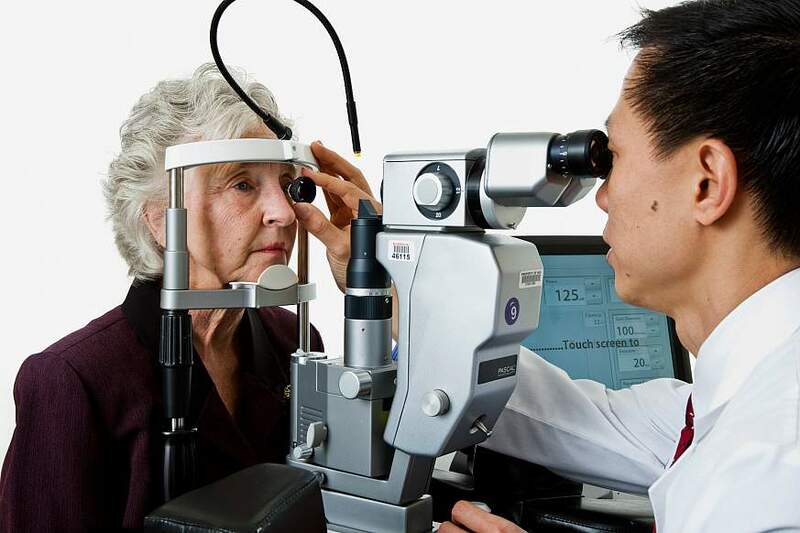 The NEI provides information about diabetic eye disease athttp://www.nei.nih.gov/health/diabetic. View an NEI video about how diabetic retinopathy can be detected through a comprehensive dilated eye exam at http://youtu.be/sQ-0RkPu35o(link is external). Vascular endothelial growth factor (VEGF) is a potent angiogenic factor and was first described as an essential growth factor for vascular endothelial cells. VEGF is up-regulated in many tumors and its contribution to tumor angiogenesis is well defined. In addition to endothelial cells, VEGF and VEGF receptors are expressed on numerous non-endothelial cells including tumor cells. This review examines the relevance of VEGF signalling in non-endothelial cells and explores the probable mechanisms involved. Anti-VEGF strategies to treat cancers were designed to target the pro-angiogenic function of VEGF and thereby inhibit neovascularization. However, anti-VEGF therapies may have a dual effect since evidence is accumulating to support the existence of both paracrine and autocrine VEGF loops within tumors. It has been suggested that direct stimulation of tumor cells by VEGF may protect the cells from apoptosis and increase their resistance to conventional chemotherapy and radiotherapy.12 Chemotherapy and radiotherapy have been shown to increase VEGF within tumors,13 and this increased VEGF may in fact protect tumor cells from these interventions. Anti-VEGF therapies are therefore likely to target both the pro-angiogenic activity of VEGF and the anti-apoptotic/pro-survival functions of VEGF. In the central nervous system (CNS) both positive (pro-migratory) and negative (anti-migratory) regulatory factors are essential for axonal guidance.17 Following prolonged exposure, Sema3A, a member of the semaphorin family, acts as an inhibitor of neuronal migration and induces neuronal cell death18 through the neuropilin-1 receptor (NP-1).19However, in addition to Sema3A binding, NP-1 also acts as an additional receptor for VEGF165 isoform.20 The relationship between Sema3A and VEGF was explored in Dev cells,21 undifferentiated cells derived from a cerebellar medullablastoma that behave as pluripotential neural progenitor cells.22 NP-1 mRNA expression was detected in Dev cells by RT-PCR and in situ hybridization. Western blotting and immunohistochemical analysis confirmed that NP-1 was expressed on the cell surface. VEGF165 or anti-NP-1 antibody blocked the effect of Sema3A on these cells, suggesting that VEGF165 binds competitively to NP-1 to block Sema3A signalling. Dev cells also expressed VEGFR-1 and blockade of VEGFR-1 reduced the inhibition of neuronal cell migration by Sema3A.21 It appears that both NP-1 and VEGFR-1 are required for Sema3A activity in these neuronal cells. NP-1 binds with high affinity to VEGFR-1.24NP-1 has a very short intracellular domain and appears to require a coreceptor to transduce a signal20 thus, VEGFR-1 may serve as a coreceptor for NP-1 in the modulation of Sema3A signalling. Both VEGF121 and VEGF165 inhibited Sema3A-induced apoptosis, and at higher concentrations reduced apoptosis below basal levels indicating an additional neuroprotective effect. Growth factor active in angiogenesis, vasculogenesis and endothelial cell growth. Induces endothelial cell proliferation, promotes cell migration, inhibits apoptosis and induces permeabilization of blood vessels. Binds to the FLT1/VEGFR1 and KDR/VEGFR2 receptors, heparan sulfate and heparin. NRP1/Neuropilin-1 binds isoforms VEGF-165 and VEGF-145. IsoformVEGF165B binds to KDR but does not activate downstream signaling pathways, does not activate angiogenesis and inhibits tumor growth. Definition Any process that activates or increases the frequency, rate or extent of retinal ganglion cell axon guidance. Macular degeneration is the leading cause of severe vision loss in people over age 60. It occurs when the small central portion of the retina, known as the macula, deteriorates. The retina is the light-sensing nerve tissue at the back of the eye. Because the disease develops as a person ages, it is often referred to as age-related macular degeneration (AMD). Although macular degeneration is almost never a totally blinding condition, it can be a source of significant visual disability. Dry form. The “dry” form of macular degeneration is characterized by the presence of yellow deposits, called drusen, in the macula. A few small drusen may not cause changes in vision; however, as they grow in size and increase in number, they may lead to a dimming or distortion of vision that people find most noticeable when they read. In more advanced stages of dry macular degeneration, there is also a thinning of the light-sensitive layer of cells in the macula leading to atrophy, or tissue death. In the atrophic form of dry macular degeneration, patients may have blind spots in the center of their vision. In the advanced stages, patients lose central vision. Wet form. The “wet” form of macular degeneration is characterized by the growth of abnormal blood vessels from the choroid underneath the macula. This is called choroidal neovascularization. These blood vessels leak blood and fluid into the retina, causing distortion of vision that makes straight lines look wavy, as well as blind spots and loss of central vision. These abnormal blood vessels and their bleeding eventually form a scar, leading to permanent loss of central vision. Most patients with macular degeneration have the dry form of the disease and can lose some form of central vision. However, the dry form of macular degeneration can lead to the wet form. Although only about 10% of people with macular degeneration develop the wet form, they make up the majority of those who experience serious vision loss from the disease.